Wanting a non-traditional wedding in New Jersey? Looking to stray from the typical banquet halls? Not to worry, this wedding planner has got you covered! Join me for a weekly blog series where I will share a bunch of offbeat, contemporary and even secret venues where you can host your perfect wedding. The possibilities are endless with a non-traditional venue! Everything from the schedule of events to the style and themes, you can design a wedding that is true to you and your love. Flexibility is key when you want to avoid the run of the mill and host a unique wedding. These venues allow you to imagine and create with little restraint- besides your budget that is. If you’re looking for a venue that has historic charm yet it is fresh and fully staffed- then Congress Hall is the one for you. This beachside resort has really nailed the art of hosting amazing weddings. Congress Hall offers the flexibility of hosting your wedding in different areas of their property which offer your guests beautiful sights, luxurious accommodations and quality service. 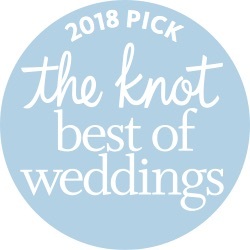 There are quite a few options including hosting your very own beach ceremony or on the Grand Lawn followed by cocktail hour and your long-awaited reception in the stunning Grand Ballroom. Outdoor ceremonies are my absolute favorite but there is always the looming fear of inclement weather. At Congress Hall that is not a problem since they offer awesome plan B options in the event of bad weather. For the budget-conscious couples- Congress Hall offers great discounts for winter weddings and you won’t have to sacrifice beauty or service! Clearly, I am a fan!